My son was crying hysterically. He was curled in a ball hiding under our porch furniture. Our friends had just left after a long weekend visit. A visit where we swam in the ocean, toured a battleship, and played lots of outdoor games. They were packing up their car to head out and the meltdown began. Was is because he was sad to see them go? Was he overly exhausted from the weekend activities? It was neither. 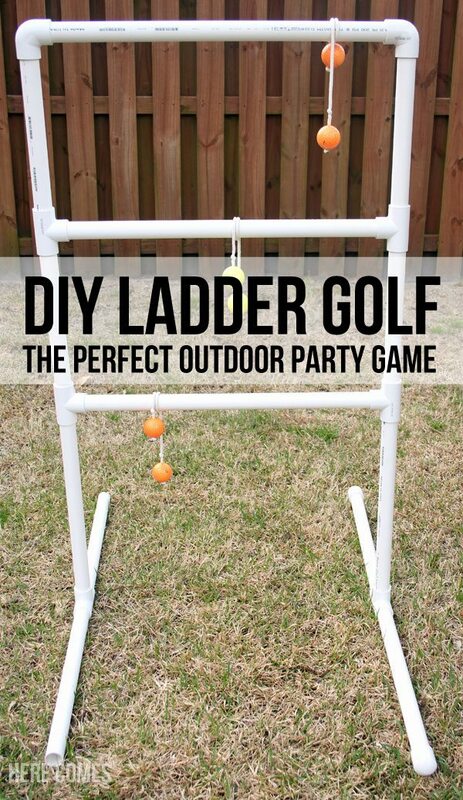 The meltdown was because of ladder golf. Specifically the ladder golf that they had just packed into their trunk. They had brought this game so we could all play it. Apparently my son thought the ladder golf was staying with us. 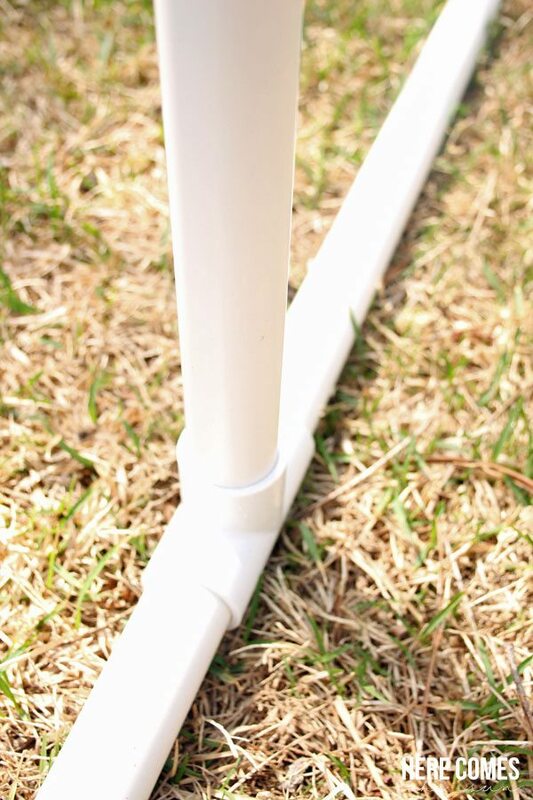 This makes 8 playing pieces with 2 golf balls per piece. 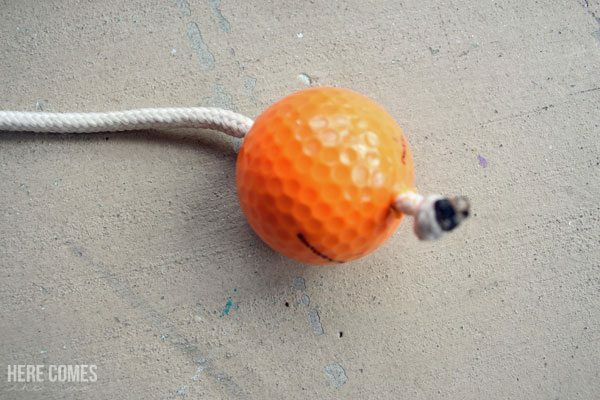 Wrap one end of the paracord around the end of a wooden skewer and thread it through the golf ball. Tie another knot on the other side of the golf ball so the ball doesn’t slip. 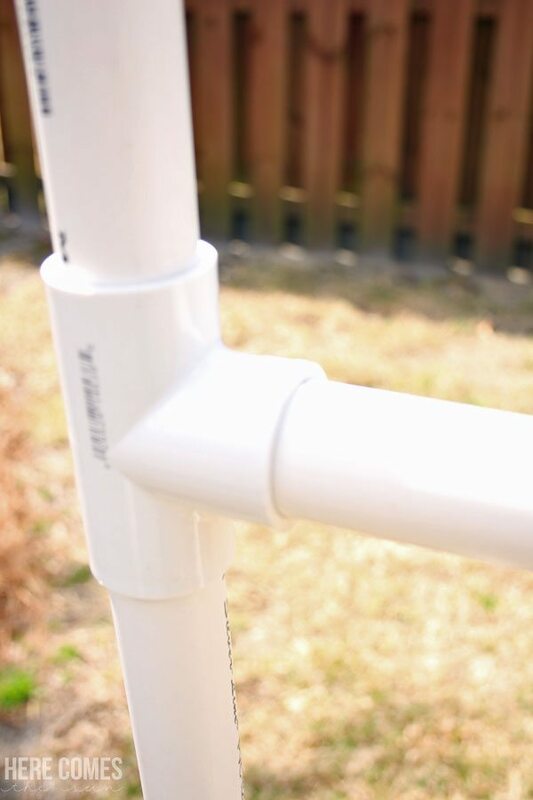 The top rung is connected with elbow connecters. Everything else is connected with the “T” connectors. We did not glue the pieces together because we wanted to be able to take it apart for easy storage. 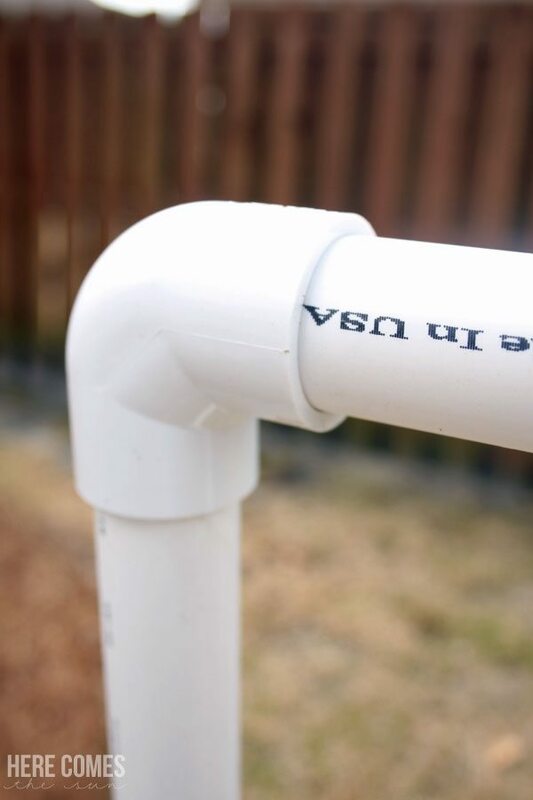 If you want to glue it all together, use a glue specifically designed for pvc pipes. This game is perfect for parties. For a crowd, add more playing pieces and add more people to each team. Just promise me no crying hysterically if you lose. Wow, interesting. Going to try this with my son. Thanks. Just built it from this outline. Thanks for making it a breeze! Wow…that’s very interesting. 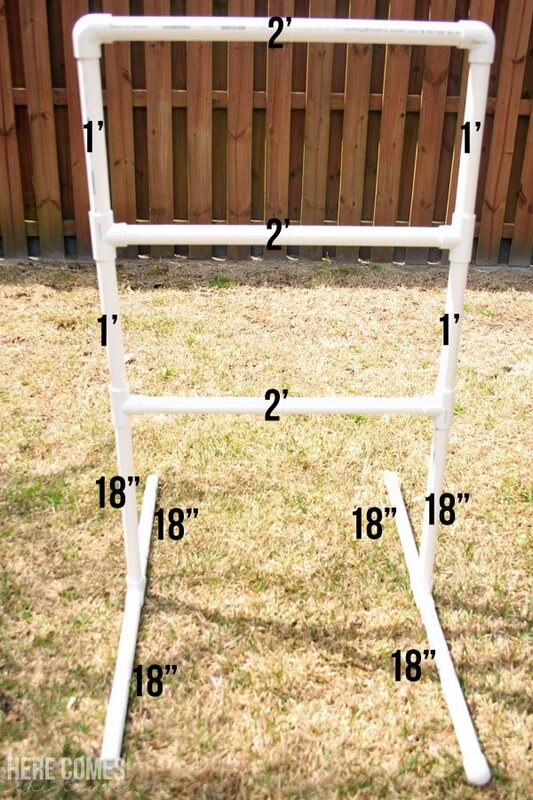 Will try ladder golf with my daughter. I hope she will love this. Thanks! Very easy to make! My 3 and 5 year old love it!